In San Francisco, where startups dream of populating the world with self-driving cars and robots, another breed of company is aiming for riches this week: Levi Strauss & Co. The maker of denim and Dockers, which traces its roots to the California Gold Rush, Levi’s is expected to start trading on the public markets Thursday for the second time in its 165-year history. The listing is a milestone for Levi’s, which has experienced a resurgence in the past decade, overhauling its image, operations and the stretch in its jeans to resonate with today’s shoppers who are increasingly disposed to athleisure wear. New teenage retailers, street-wear companies and low-cost private labels started to eat into its market share. Designer jeans gained appeal on the high end. Then came stumbles from some of the department stores selling its goods. More recently, Levi’s has faced fresh competition from athleisure brands. While the company was bumping along, it began a full-fledged makeover in 2011 with the appointment of Bergh, who is known as Chip and joined Levi’s after nearly three decades at Procter & Gamble. Under him, sales have risen and the brand has been imbued with new energy. Its name is now on a sports stadium, it introduced lasers to distress its jeans and it opened a giant flagship store in Times Square. 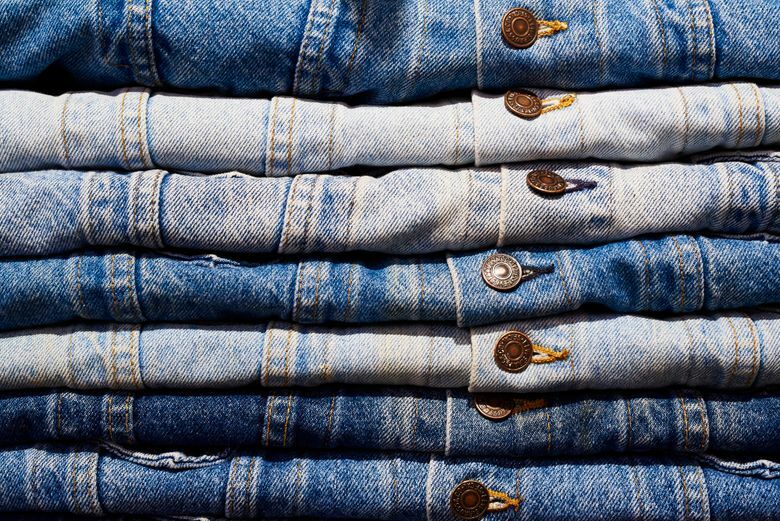 Now Levi’s — which falls between the Gap brand and Ralph Lauren in terms of sales — is looking to regain the sales it attained in the ‘90s, when its revenue exceeded $7 billion. The company declined to comment for this article, citing restrictions before its stock offering. 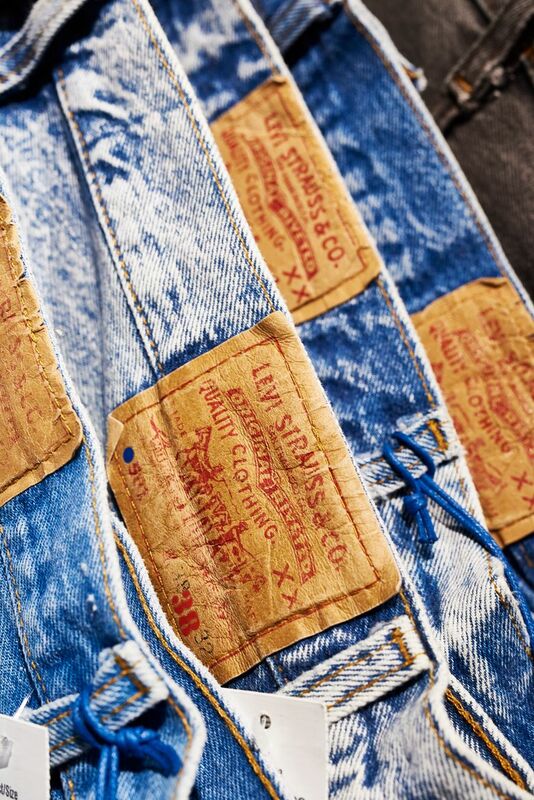 Levi’s has a long history. Levi Strauss, who immigrated to the United States from Bavaria, set up shop in San Francisco in 1853 with a wholesale dry-goods business. Twenty years later, he and a business partner received a patent for “waist overalls” with metal rivets at points of strain — a garment now known as the blue jean. Jeans started to become mainstream garments in the 1920s and ‘30s with the rise of Hollywood Westerns, dude-ranch vacations and romanticized images of cowboys. In the ‘60s, Levi’s became, in the words of McClendon, “the de facto uniform of the hippie,” increasing its broader popularity. Strauss died without children in 1902 and he left the company to his nephews. Family members have controlled the business ever since. Levi’s brought in $5.6 billion in sales last year with a net profit of $285 million. That’s an increase from the start of Bergh’s tenure — the year he joined the company, it had $4.8 billion in sales — but still well below its ‘90s peak. Bergh, 61, was involved with the integration of Gillette after Procter & Gamble’s $57 billion acquisition of the brand in 2005 and has viewed the turnaround of Levi’s as his opportunity to leave a legacy. “Since the economic collapse in 2008 to 2010, that whole period, using expensive apparel to communicate who you are just isn’t as cool as it was,” Driscoll said. One of the biggest challenges that Bergh and Levi’s have faced in recent years has been the boom in the all-mighty yoga pant. Coresight Research said in a recent report that U.S. imports of women’s elastic knit pants surpassed imports of women’s blue denim pants in 2017. Levi’s has mitigated some of that issue with the stretch it added to its jeans. The company sought to convey its trendiness in its regulatory filings this month. It described how Beyoncé wore Levi’s cutoff shorts while performing at Coachella in April 2017 as well as its collaborations with Justin Timberlake and the Air Jordan brand from Nike. This week’s offering gives the company and its owners some new flexibility, said Mike Zuccaro, a Moody’s analyst. Zuccaro said he was impressed with how the company has been able to withstand difficult trends within the retail industry and focus on areas where it can grow.